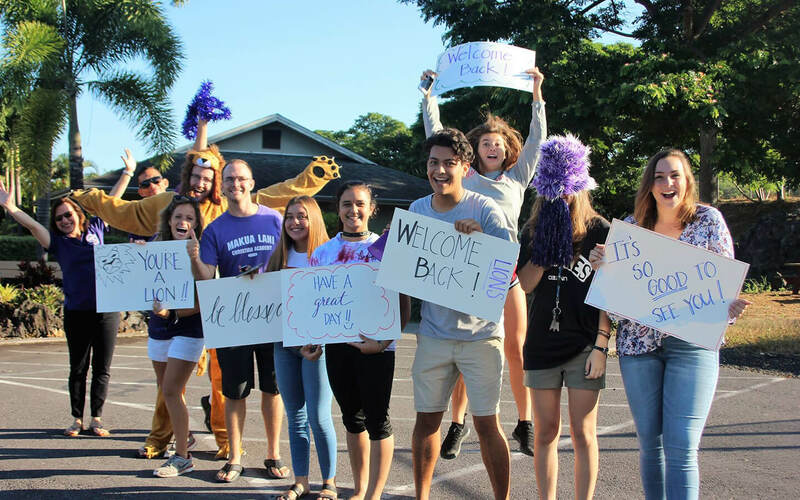 Makua Lani Christian Academy will work together with the parents and church to provide a Christ-centered spiritual, academic, and physical foundation that will produce individuals who will be Biblical thinkers capable of serving the world for Christ. 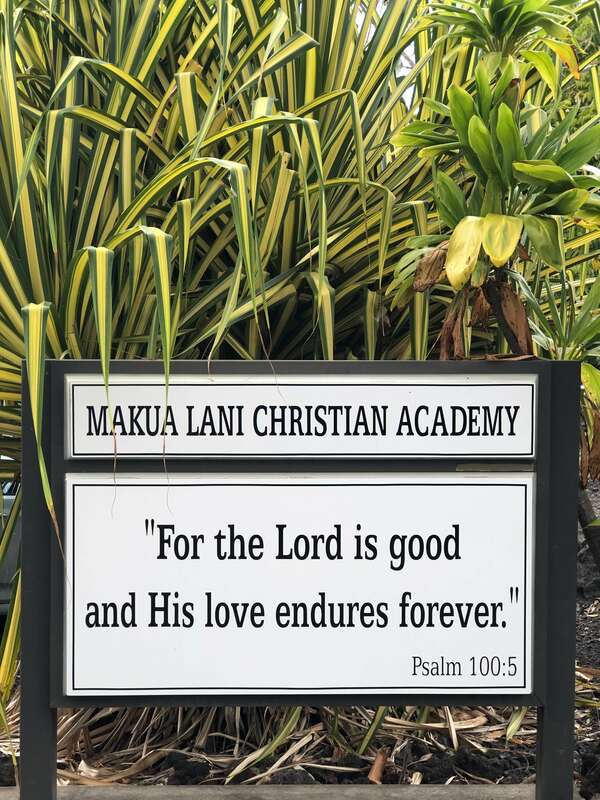 The philosophy of Makua Lani Christian Academy is established from the Christian view of life. The Bible speaks of the moral and spiritual instruction of believers in general and of children in particular. It places a high value upon knowledge and defines its ultimate purpose. The Bible is specific that education is to begin in the home. Parents are responsible for their children, which includes educating them. The church also asumes the role of teaching to further the maturation process. In order to reinforce the educational ministries of these institutions, Christian schools have been formed. The basis of educational experiece of a student is found in the person of Jesus Christ and His written word- The Bible. Makua Lani Christian Academy offers an environment that promotes and teaches spirital principles of living. It encourages human relationships within the context of Biblical direction. The curriculum of Makua Lani Christian Academy is created from a philosophy, which places God, not man, in the center of all things. This philosophy stimulates each student to develop each given talent to its highest potential. The Bible to be inspired, the only infallible, authoritative Word of God.- 2 Timothy 3:16, 2 Peter 1:21. In the absolute necessity of regeneration by the Holy Spirit for salvation because of the exceeding sinfulness of human nature; and that we are justified on the single ground of faith in the shed blood of Christ, and that only by God's grace and through faith alone are we saved.- John 3:16-19, John 5:24, Romans 3:23, Romans 5:8-9, Ephesians 2:8-10, Titus 3-5. In the spiritual unity of believers in Jesus Christ.- Romans 8:9, 1 Corinthians 12:12-13, Galatians 3:26-28. The best way to experience Makua Lani is to see it for yourself. Come visit our campus and meet the students, teachers, and administration.